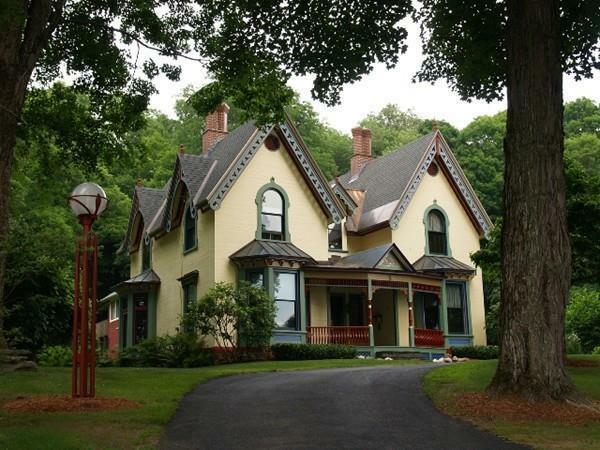 A magnificent example of a Gothic Revival Gingerbread House, built in 1868, this is the most admired home in the village of Shelburne Falls. 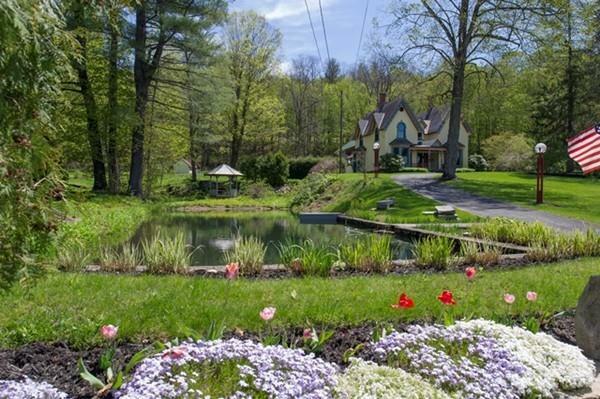 This architectural jewel is situated on approximately 2 acres of privacy with gorgeous landscaping, two gazebos and a picturesque pond. 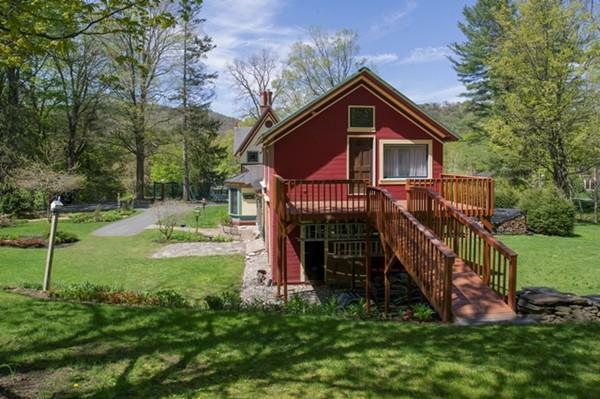 Meticulously restored and maintained, offering 5 bedrooms, 2 baths, copper roofing, stunning wood floors, a large country kitchen with laundry, a 29 x 19 attached studio and office with 2 separate entrances. 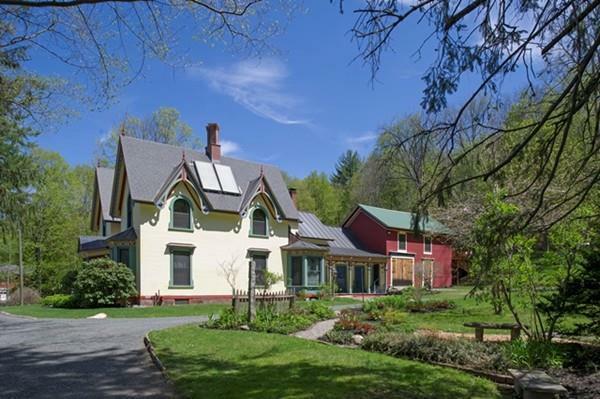 With an impressive pedigree, this home has a history of being the village showplace and has been featured in many publications including This Old House magazine, Old House Journal, HGTV, Antique Homes, Country Living and Yankee Magazine. Keeping a keen eye on efficiency, there are replacement windows, blown in insulation, solar hot water and high efficiency heating systems. Located near the elementary school, restaurants, library, galleries and shopping. Disclosures Property Tax information Does Not include Fire District Tax. List Agent is Also Seller.